Analysis: Myers and Ficken were poised to embark on a battle for the kicker job in Seattle. However, before the offseason program could begin next week, the Seahawks cast their lot with Myers, at least for the time being. In 54 games between the Jaguars and Jets the past four years, he made 84.3 percent of his field-goal attempts (97 of 115). Meanwhile, after missing seven point-after tries from the longer distance in 2015, he's missed just eight over the last three years. Analysis: The Seahawks have swooped in to sign a kicker in Myers who earned a Pro Bowl nod for his work with the Jets last season. The Marist product drilled 30 of 36 field-goal attempts and connected on 30 of 33 point-after attempts across 16 games. It's unclear how much guaranteed money Myers' deal contains, but the reported financial commitment would make him a top-10 kicker in terms of average annual salary. He's slated to replace incumbent Sebastian Janikowski (thigh), who is a free agent. Analysis: The Jets already made one of the biggest splashes of the offseason with the addition of running back Le'Veon Bell, but apparently weren't willing to pay the going rate for their Pro Bowl kicker on the open market. Myers should draw plenty of interest after knocking down 33 of 36 field-goal attempts last season, including a 6-of-7 mark from beyond 50 yards. Myers connected on his lone field-goal try in Sunday's 38-3 loss to New England, finishing his season with 33 makes on 36 attempts. Analysis: The Jets turned down multiple field-goal opportunities in lieu of failed fourth-down gambles, but Myers was true from 40 yards out on his lone kick of the afternoon. There will likely be mutual interest from team and player in a 2019 reunion, as the pending free agent posted the best season of his career after latching on with Gang Green on a one-year pact in 2018. Myers (left hip) doesn't carry an injury designation for Sunday's game against the Patriots after returning to a full practice Friday, Darryl Slater of NJ.com reports. Analysis: The Jets had worked out some other kickers just in case, but Myers, who is fifth in the league among players at his position with 126 points, is slated to play Sunday. That said, the Jets offense heads into Week 17 with a shorthanded wideout corps, with both Quincy Enunwa (ankle) and Jermaine Kearse (Achilles) on the shelf for the team's season finale. Myers (hip) didn't practice Thursday, Manish Mehta of the New York Daily News reports. Analysis: It remains to be seen if Myers is able to return to practice Friday, but it's worth noting that the Jets have been working out other kickers in the event the 27-year-old isn't able to suit up in Sunday's season finale against the Patriots, according to Connor Hughes of The Athletic. Myers didn't practice Wednesday due to a left hip issue. Analysis: Myers is currently the only kicker on the New York roster and as long as that remains the case, it's expected that he'll be ready to go for Sunday's season finale against the Patriots. Through 15 games, Myers is fifth in the league among kickers with 126 points. Myers made one of two field-goal tries to go with all five of his PAT attempts in Sunday's 44-38 overtime loss to the Packers. Analysis: Myers sank a 33-yarder to send it to overtime, but that kick could have been the game-winner if he hadn't missed from 45 on the opening drive. While Myers has had a stellar season, his level of play has slipped noticeably down the stretch. Myers made his only field-goal try but missed twice on three PAT attempts in Saturday's 29-22 loss to Houston. 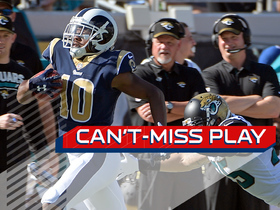 Analysis: Extra points have been a bugaboo for Myers throughout his career, and the long-range specialist's struggles from in close returned here, though he did nail a 26-yard field goal. Owners who turned to Myers in hopes of getting a few long field goals have to be disappointed with this effort. Myers connected on both field-goal attempts in addition to a trio of extra points in Sunday's 27-23 win over the Bills. Analysis: Myers was true from 47 and 21 yards out. He enters New York's Week 15 matchup with the Texans having made 30 of 32 field-goal tries. Myers connected on all five of his field-goal attempts and an extra point in Sunday's 26-22 loss to the Titans. Analysis: Myers was true from 54, 34, 43, 39 and 39 yards. 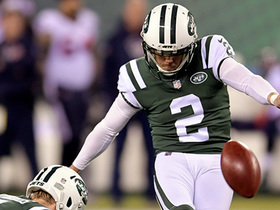 The 27-year-old kicker has been one of the few bright spots in an otherwise disappointing season for the Jets, connecting on 28 of 30 field-goal attempts while demonstrating tremendous proficiency on longer kicks. Myers made both of his field-goal attempts -- from 55 and 38 yards -- to go with an extra point in Sunday's 27-13 loss to New England. Analysis: His 55-yarder made NFL history, as Myers became the first player to successfully make five kicks from at least that distance in one season. If the Jets offense wasn't among the league's least effective, Myers would be a much more significant fantasy factor. 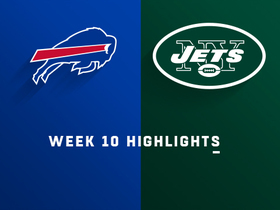 Myers connected on a 55-yard field goal and an extra point in Sunday's 41-10 loss to the Bills. Analysis: Myers has been one of the few bright spots in what's turned into another lost season for the Jets, continuing to show tremendous aptitude from long range. The team's offense isn't moving the ball consistently enough to rely on him, though. 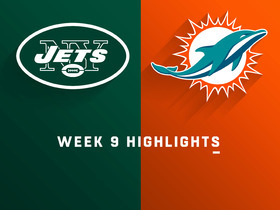 Myers made two of three field-goal attempts in Sunday's 13-6 loss to the Dolphins. Analysis: Myers missed a game-tying attempt with the team down 6-3 early in the fourth quarter, overshadowing makes from 48 and 56 yards. As those distances indicate, New York wasn't able to work the ball deep into Miami territory. Until the Jets pick things up offensively, Myers will be tough to trust. Myers connected on a 42-yard field goal and an extra point in Sunday's 24-10 loss to the Bears. Analysis: Myers continues to kick well, but his opportunities have been limited recently with New York's offense battling growing pains and injuries. He'll hope to see more action against the Dolphins in Week 9. 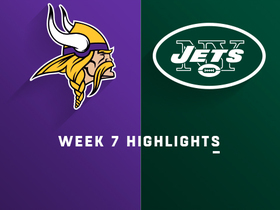 Myers converted a 55-yard field goal and both of his extra-point attempts in Sunday's 37-17 loss to the Vikings. Analysis: The Jets came crashing back down to earth after moving the ball at will in a Week 6 win over the Colts, but Myers still managed to make owners happy by nailing a long-range kick despite tricky wind conditions. Speaking of wind, Myers' next game will be a Week 8 clash with the Bears in the Windy City. Myers converted all seven of his field-goal attempts to go with a trio of extra points in Sunday's 42-34 win over the Colts. Analysis: Myers single-handedly carried some fantasy teams this week, as New York had no problem moving the ball against a depleted Colts defense. He's converted 16 of 17 field-goal tries through six weeks, so expect Myers to get some opportunities against the Vikings in Week 7. Myers made two of three field-goal attempts and all four of his extra-point tries in Sunday's 34-16 win over Denver. Analysis: Myers missed a 30-yarder on his first attempt of the afternoon, but he nailed his six subsequent kicks, including field goals of 49 and 30 yards. The strong-legged kicker has been hard to predict on a week-to-week basis while operating behind an inconsistent Jets offense that relies on big plays to move the ball. Myers and the Jets will host the Colts in Week 6. Myers connected on field goals of 27 and 38 yards in Sunday's 31-12 loss to the Jaguars. Analysis: Myers didn't miss a kick, though he didn't get to attempt a PAT with New York opting to go for two after its lone touchdown. Expect the fourth-year kicker -- who's made all seven of his field-goal tries this season -- to be busier against a less stout Broncos defense in Week 5. Myers connected on a 28-yard field goal and both of his PAT attempts in Thursday's 21-17 loss to Cleveland. Analysis: Myers wasn't asked to do much, as the Jets raced out to a 14-0 lead and mustered just one field goal the rest of the way. Things don't project to get any easier for this offense with a trip to Jacksonville next on the docket. Myers missed a PAT but converted field goals of 55 and 41 yards in Sunday's 20-12 loss to the Dolphins. Analysis: All of Myers' kicks came after halftime, as the Jets were shut out in the first half. He converted all six of his extra-point attempts last week after struggling on them last season, so Myers continues to be an enigma who seems to struggle more with gimmes than long-distance kicks. Myers made both of his field-goal attempts, as well as all six of his PATs in Monday's 48-17, Week 1 win over Detroit. Analysis: Myers only made 15 of 17 extra-point tries with the Jaguars last season, so it was good to see him nail all of his attempts in his Jets debut. In addition to connecting on field goals of 35 and 32 yards, Myers also consistently kicked off the ball deep into the end zone for touchbacks, which was a key consideration for New York in its decision to utilize him over alternative kicking options. Myers will serve as the team's starting kicker versus the Lions on Sunday, Connor Hughes of The Athletic reports. Analysis: Myers beat out Taylor Bertolet for the starting kicker job in the preseason. 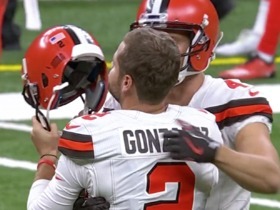 Additionally, he appears to have kept free agents Dan Bailey and Roberto Aguayo at bay, given that both worked out for the Jets without signing. The 27-year-old will suit up for his Gang Green debut Sunday. Myers won the Jets' kicking competition, Manish Mehta of the New York Daily News reports. Analysis: Myers converted a 58-yard field goal in the preseason finale nine days after signing with the Jets. It was enough to beat out Taylor Bertolet, who received his pink slip Saturday morning. Given his team context, Myers belongs on the waiver wire in the vast majority of fantasy leagues. Myers converted both of his field-goal attempts during Thursday's preseason finale against the Eagles. 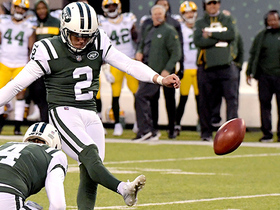 Analysis: Myers made a strong case to be the Jets' kicker in 2018, first connecting on a 58-yarder in the first quarter before following up with a 43-yard strike in the third. His competition at the moment, Taylor Bertolet, was only given one chance on the evening, which was a successful 19-yard attempt. While only time will tell who wins out, the smart money seems to be on Myers to make this team. Myers is slated to compete with Taylor Bertolet for the Jets' kicking job, Darryl Slater of NJ.com reports. Analysis: Cairo Santos entered training camp positioned to replace the departed Chandler Catanzaro as the team's kicker, but he was waived by the team this week. That paves the way for Myers to make a run for the job after he was claimed off waivers from the Seahawks on Tuesday. Myers' past NFL experience could well give him a leg up in the competition, given that Bertolet has yet to appear in a regular-season contest. The Jets claimed Myers off waivers Tuesday, Manish Mehta of the New York Daily News reports. 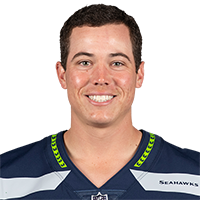 Analysis: Myers was waived by the Seahawks on Monday, losing out to Sebastian Janikowski for the kicker job in Seattle. The 27-year-old will now try to make an impression in New York, where he figures to compete with Taylor Bertolet after Cairo Santos dropped out of the mix due to a groin injury. Regardless of which player wins the job, there isn't much reason to consider rostering a kicker from the Jets. Myers was released by the Seahawks on Monday. Analysis: Myers drew the tough task of trying to beat out veteran kicker Sebastian Janikowski for the starting duties and ultimately fell short. There's no denying Myers' ability, but whether he'll get another shot at a starting job this year could be out of his control. Myers made a 43-yard field goal in Thursday's 19-17 preseason loss to the Colts. Analysis: Myers has the tough task of battling Sebastian Janikowski for the starting kicker position. Janikowski was given a $600,000 signing bonus while Myers' base salary is $705,000, so the cards are stacked against Myers versus the seasoned veteran. Myers kicked field goals with the backup units throughout minicamp, Bob Condotta of The Seattle Times reports. Analysis: It was clear that snagging a starting gig wouldn't be easy for Myers after the Seahawks pegged a $600,000 signing bonus onto veteran kicker Sebastian Janikowski's one-year deal. That sum of cash rivals Myers entire contract -- $705,000 for one season. Therefore, Myers has so much more to prove than Janikowski, and this battle looks to drag out through preseason. The Seahawks signed Myers to a reserve/future contract Wednesday, Field Yates of ESPN reports. Green Bay Packers wide receiver J'Mon Moore fumbles the kick return and New York Jets cornerback Rashard Robinson recovers for the Jets. 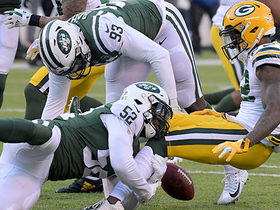 New York Jets place kicker Jason Myers misses second straight extra-point attempt. 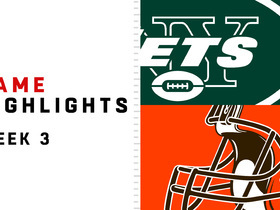 New York Jets place kicker Jason Myers misses 50-yard FG attempt. Los Angeles Rams wide receiver and kick returner Pharoh Cooper returns the opening kickoff for touchdown.